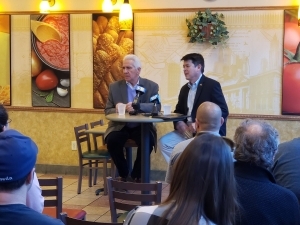 FRESNO, CA (KMJ) – Valley Democratic Congressmen Jim Costa and TJ Cox co-hosted a forum in Fresno on Friday, to find out the collateral damage from the partial government shutdown. “It’s all politics, that’s all it is, it’s not about anything else, it’s just politics,” said Kamal Brah. 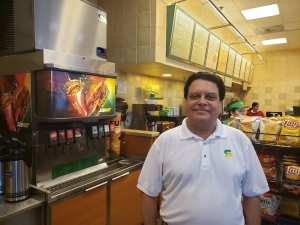 He’s the owner of the Subway across from the Fresno Convention Center at 855 M Street. Brah is not a federal worker but most of his customers are. He said he’s lost almost 50 percent in sales, a thousand dollars a day, and it’s having a ripple effect on his staff. 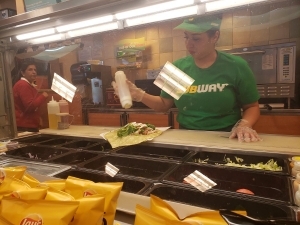 “It’s hard on the employees because normally we used to close at 9:00 o’clock, so now we started closing at 5:00p.m. So, the evening people, one of them couldn’t come in at the lunchtime, now she is looking for another job, so we are going to start losing employees too,” said Brah. For Brah that means extra time and money spent hiring and retraining new staff. 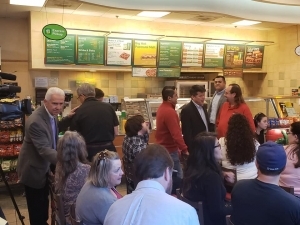 Congressman Costa (CA-16) said he and Congressman Cox (CA-21) chose to hold the Forum “Valley Shutdown Stories” inside Brah’s restaurant to illustrate how people ranging from federal food inspectors to workers at the Mendota Prison, to Brah – a Subway business owner – are all suffering collateral damage from the closing. 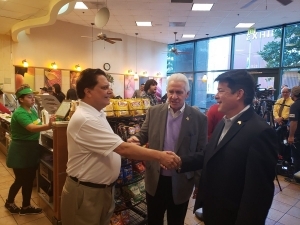 Congressman Cox along with some of the 70 original co-sponsors, introduced his first bill: the Immediate Financial Relief for Federal Employees Act. in front of the Capitol on Thursday. The House is set to pass another bill next week in an attempt to reopen the government, however previous attempts have died on arrival in the Senate. The pair of lawmakers hope to bring back stories from the forum when they return to Washington DC, next week. Both Congressmen Costa and Cox question the legality of this current shutdown. 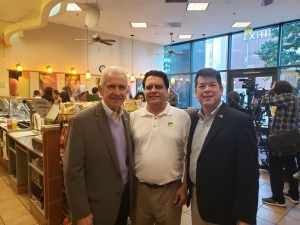 Cox, speaking in an interview with KMJ referenced the government shutdown in 2013 that he said was a violation of the Fair Labor Standards Act. Brah just hopes his federal worker clientele returns, soon.